We loved relaxing and chilling in Laos so much but it was time for us to move on to the next country, so Thailand it is! 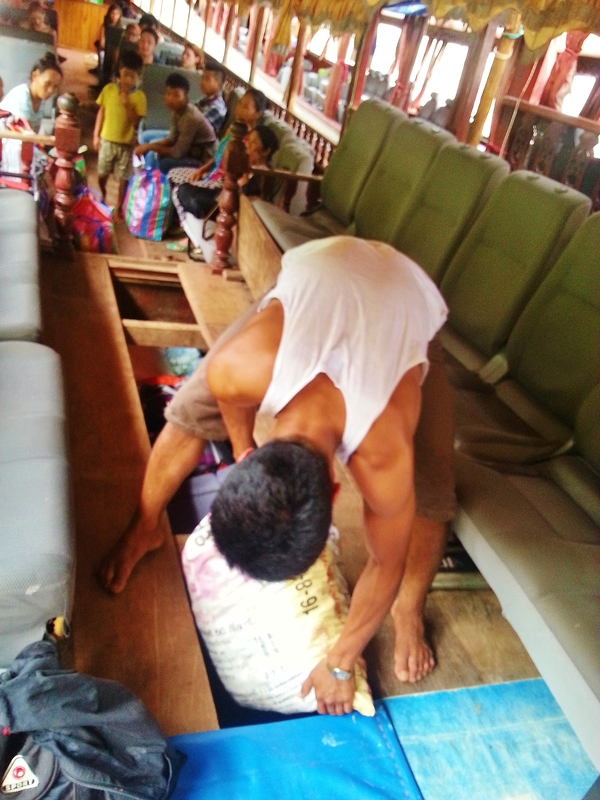 From our research and through the people that we have met during our travels, we have heard nothing but good things about the slow boat journey along the Mekong River crossing the border to Thailand and vice versa. “A must! Not to be missed! Fantastic!” were some of the comments described in the reviews. 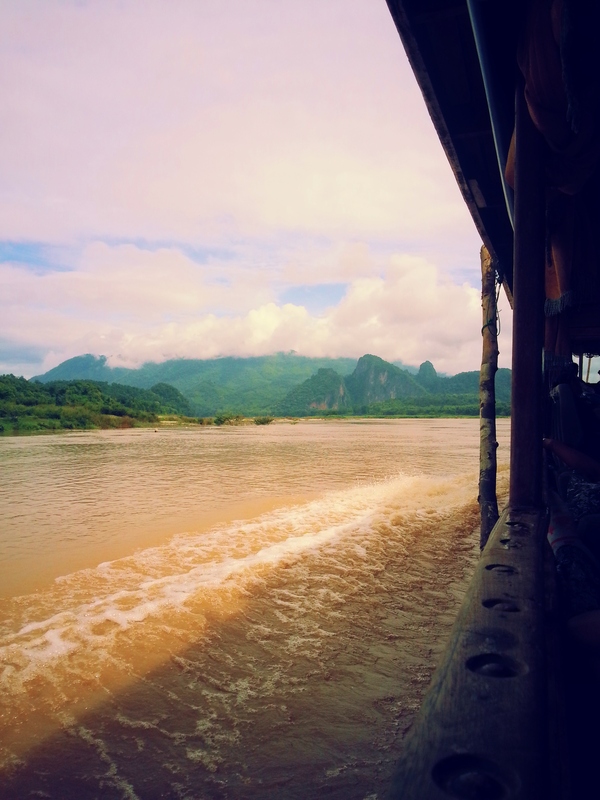 The idea of slowly cruising along the Mekong with beautiful views did attract us, so we decided to give it a go since we had enough days in our Laos visa. It used to be a 3-day trip with overnight stays in Pak Beng and Huay Xai (border town); however, since the Lao/Thai “Friendship Bridge” opened in January, it eliminated the overnight stay in Huay Xhai and the journey is cut to two days. Our travel agent informed us that the Thai border is open until 8pm. 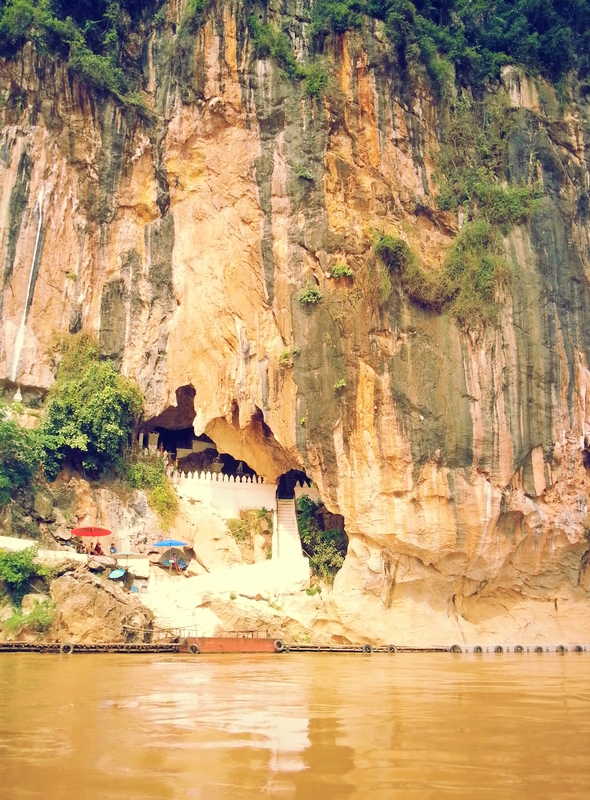 The first day would be the 8-9 hour boat ride to Pak Beng, Laos. There, you will have to spend the night as it is not safe to travel along the river in the dark. 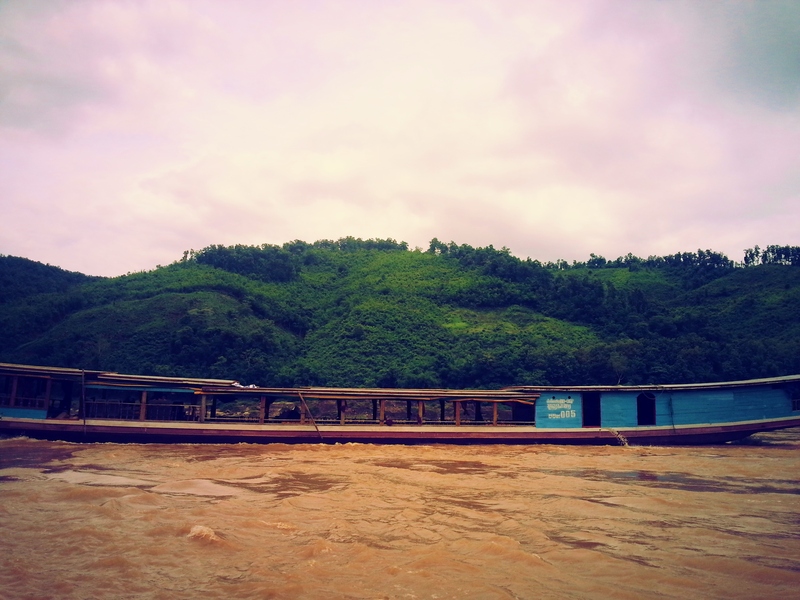 The second day will be another boat journey which is 10 hours to the border town, Huay Xai. 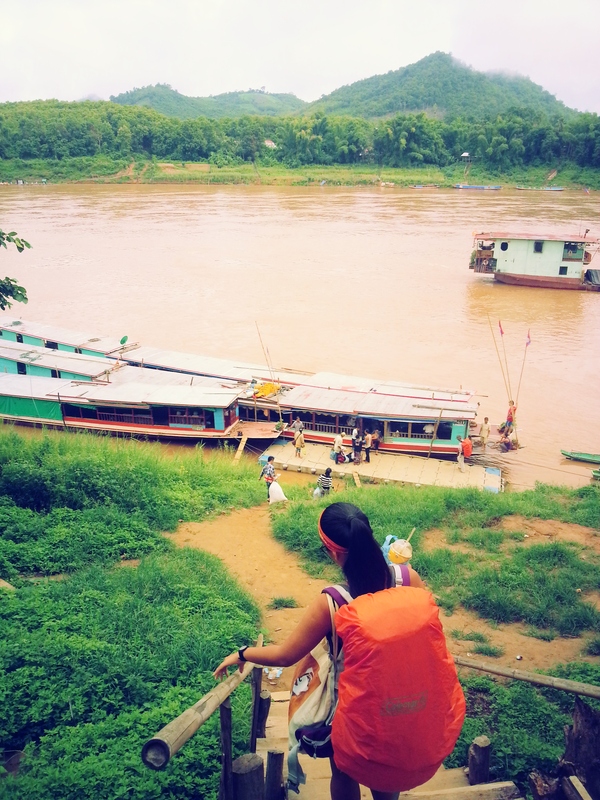 So here is the lowdown on our overland trip from Luang Prabang, Laos to Chiang Rai, Thailand. 7:20 AM – We were picked up by the van service to take us to the pier which is about 10km from the city center. 8:00 AM – We arrived at the pier and went to the desk to check-in. We presented our receipt from the travel agency the night before and wrote our names on the manifest. We then proceeded to board the boat. Our big bags were stored under the boat so we made sure we had our essentials in our carry-ons. There were more locals on the boat than tourists on our trip. The boat has a 100-person capacity and it was not nearly full. We had enough space for everyone and the car seats on the boat were pretty comfortable. 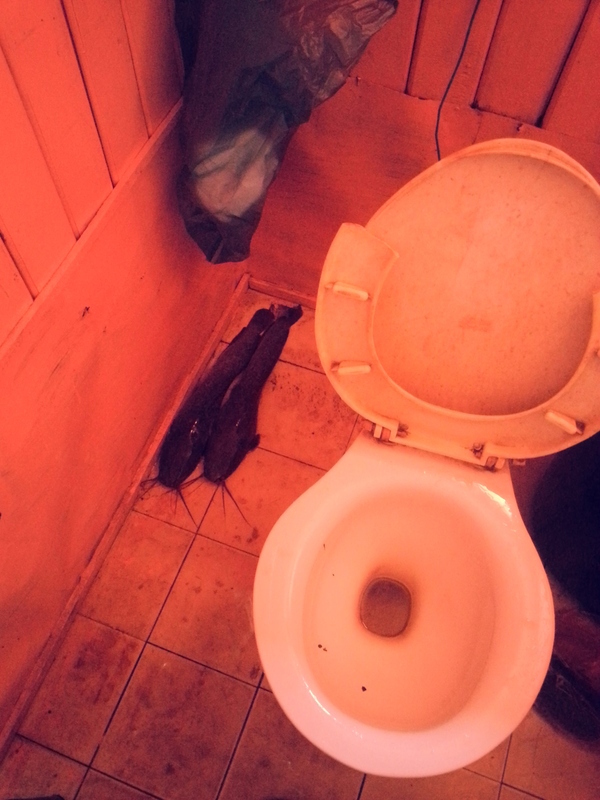 The boat is also equipped with a toilet (not a squat, thank god!) but it was so shocking and strangely gross that there were 3 cat fish on the bathroom floor during the beginning of the trip. And they were alive! For what the hell reason? We do not know! 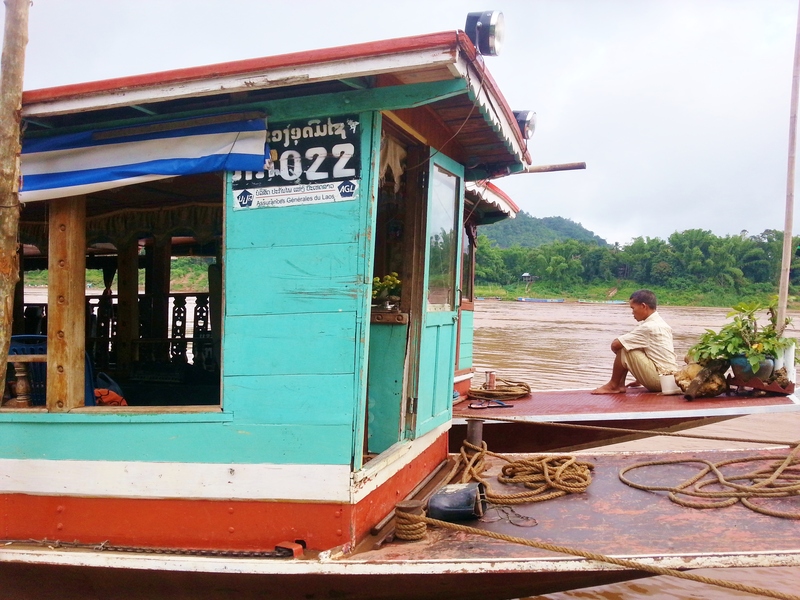 8:45 AM – We left Luang Prabang to start our “8-9 hour” journey to Pak Beng. The boat made stops once in a while to let off and pick up passengers. We saw beautiful views along the way and I have to admit, it was pretty relaxing…until…the boat made a stop. At first we thought that it was dropping off some passengers; but the boat had stopped on the side of this mini desert island with nothing in it but sand and cows. 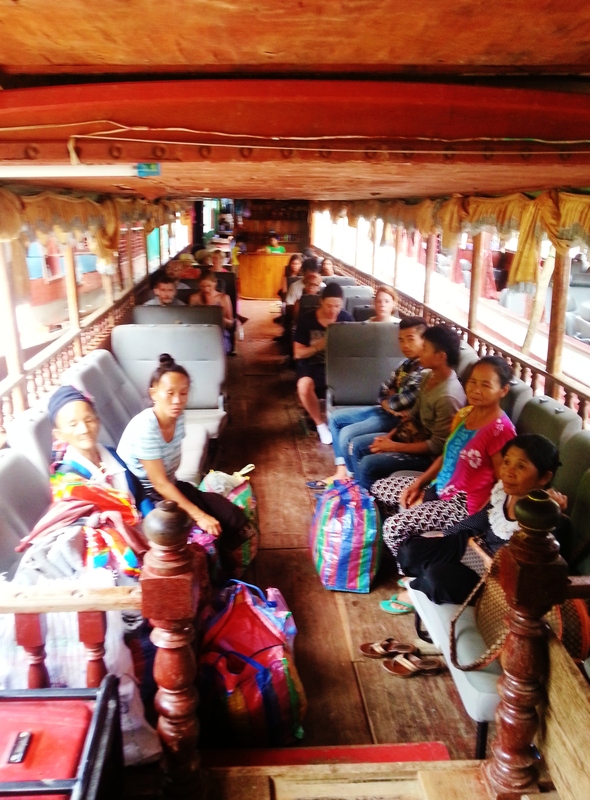 This was the beginning of our “real slowboat experience.” The driver went to the back of the boat where the engine was located and then some people gathered and they were all speaking in Thai. We got the point when he tried restarting the engine a couple of times and failed. Damn! We were in the middle of nowhere with no town and other boats in sight! There was nothing we could do but sit there and wait it out. After around 3 hours of waiting, another boat arrived and we transferred and were able to continue our journey. We passed Pak Ou Cave too. First order of business was to curb our hunger. We did not have any more food left, so everybody had to make do with the overpriced cup noodles and drinks that were being sold onboard. 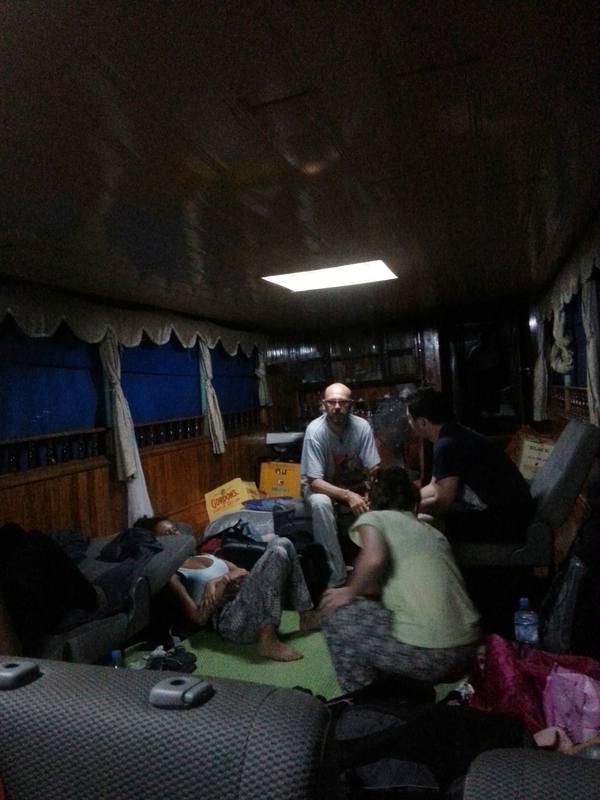 After dinner, we needed to set up our sleeping quarters, good thing there were only around 20 people left on the boat and it was spacious enough for everyone. We had make shift beds composed of creatively pushed together car seats. We bathed ourselves with insect repellent as it was peak hours for the mozzies! Now that everybody was comfortable, we just chit chatted to let the time pass until the gas generator ran out and it was pitch black which left us with no choice but to sleep. 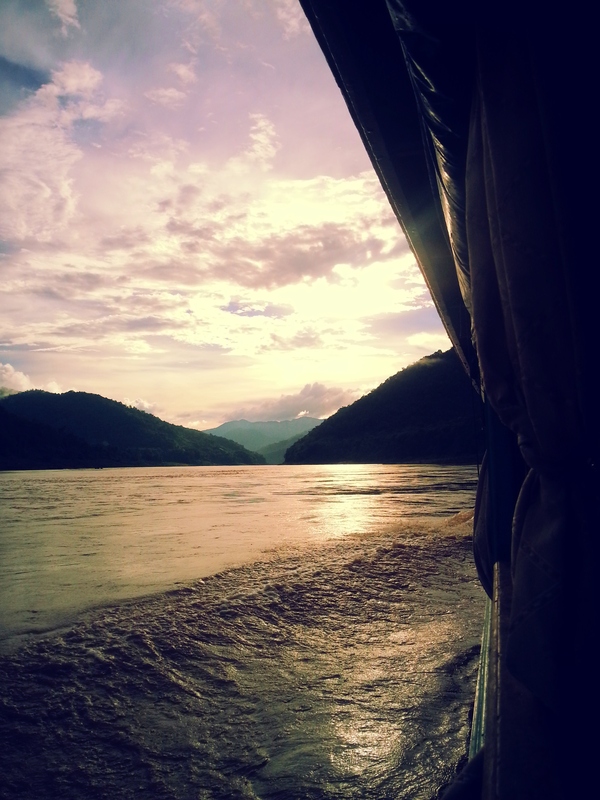 4:00 AM – We heard the engine roar and we were on our way to Pak Beng. Still groggy, we continued to snooze on and off all the way to our stop over. 6:00 AM – We arrived in Pak Beng. Hurray! We got off the boat and had breakfast at one of the restaurants near the pier. Pak Beng is a really quiet town and people usually just spend the night there for the stop over. We scarfed down our breakfast and we were so ecstatic to be off the boat. Finally!!! The boat to Huay Xai wasn’t scheduled to leave until 8:30 AM so we begged the restaurant staff for a shower and just gave them tip. 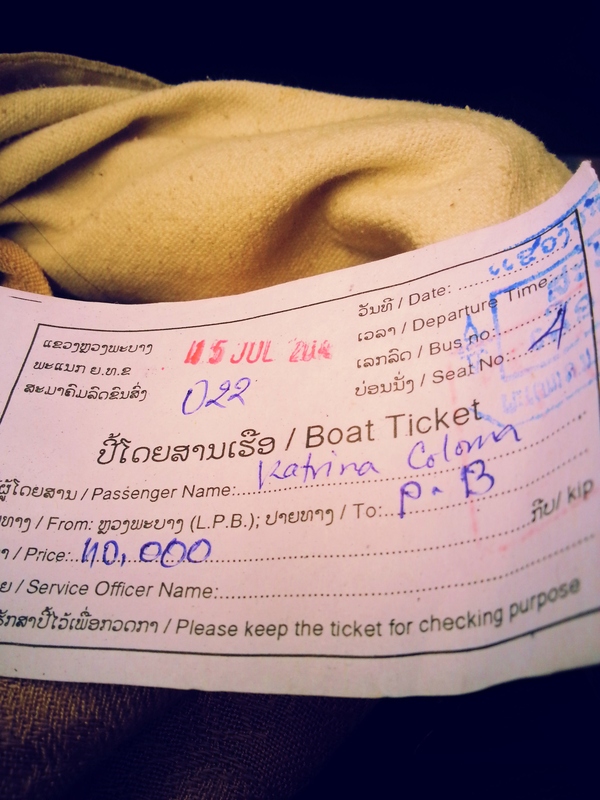 We went down to the pier afterwards to purchase our ticket to Huay Xai. It cost us another 110,000 kip per person. 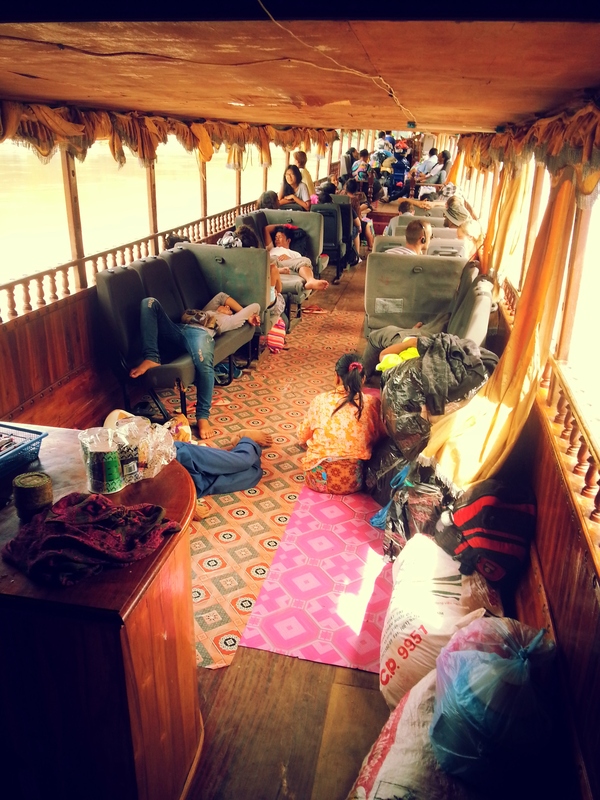 8:45 AM – All boarded, showered and fed, we started our journey to Huay Xai. The views were wonderful and entertaining. However, it gets old after a few hours so make sure you are able to entertain yourself. 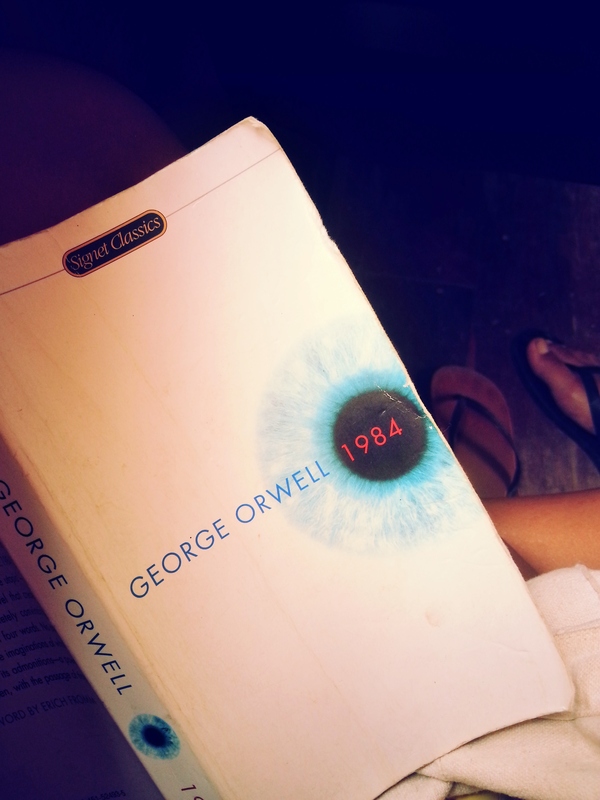 I finished two books in this journey and it wasn’t enough! I still had a lot of idle time. 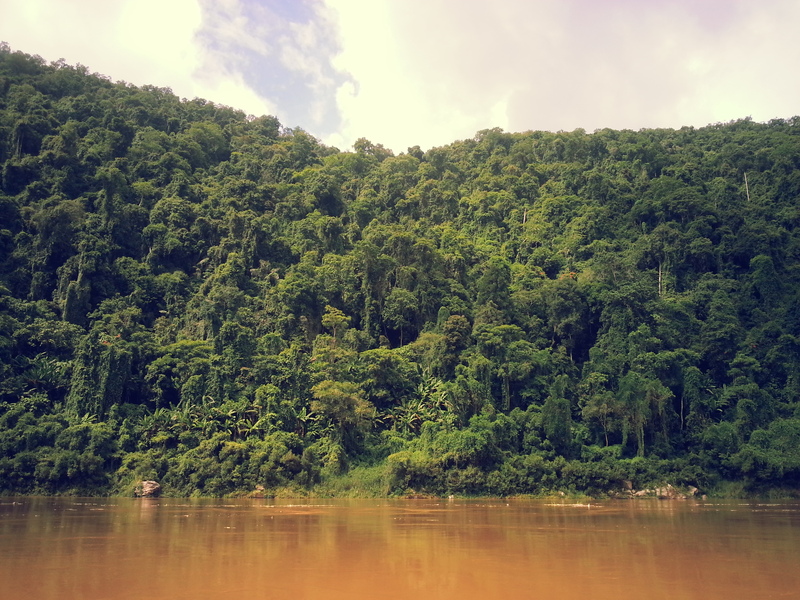 Finally, on our way to Huay Xai! 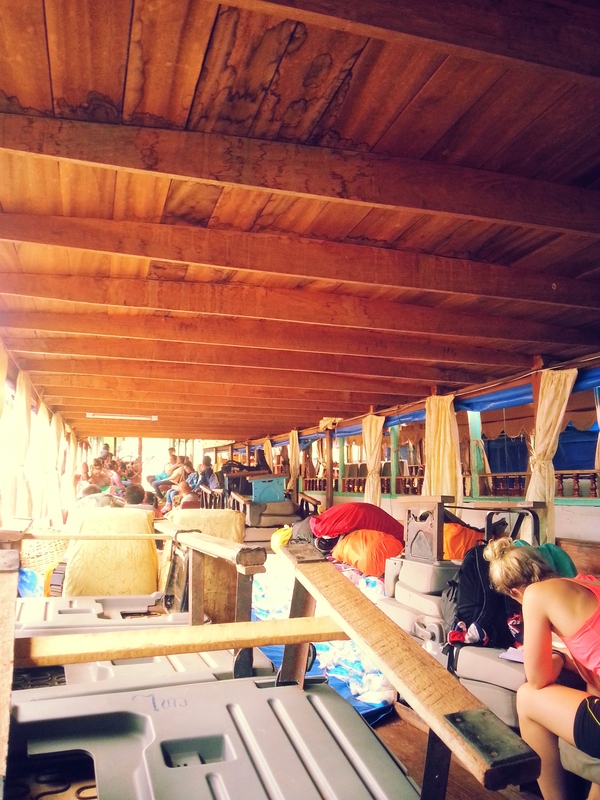 6:45 PM – Our boat docked in Huay Xai port. YES!!!! YES!!! YES!!! We had enough time to get to the border. After we got off the boat, we hired a tuk-tuk to take us to the border which was a 20-minute ride. We split the tuk-tuk with two other girls and were able to negotiate a price of 25,000 kip per person. 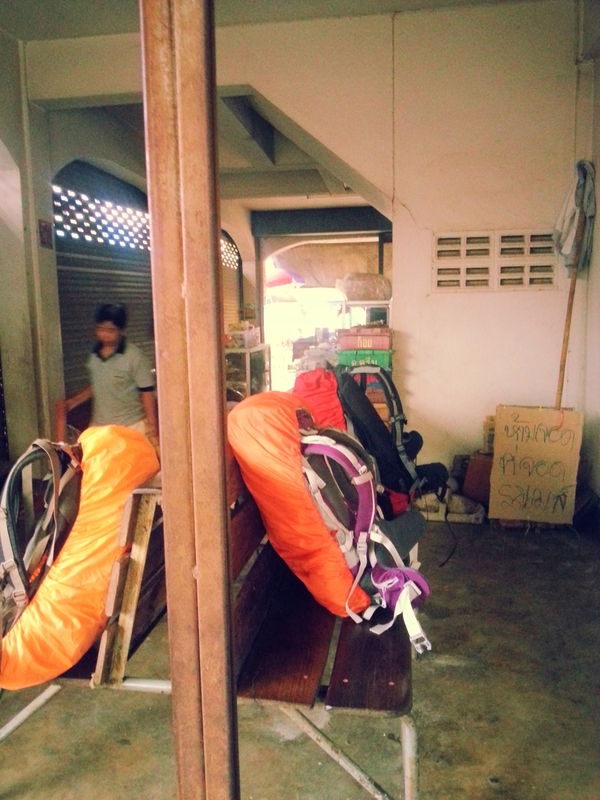 7:05 PM – We arrived at the Laos immigration office and we had to pay an exit fee of 10,000 kip. After getting stamped, we had to take a short bus ride to the Thai immigration office which cost us 25 baht. You can walk it; however, we opted for the bus ride since we were carrying our packs. 7:20 PM – We arrived at the Thai immigration office and had our passport stamped for our 15-day visa. In Thailand, at last! 7:45 PM – We shared a tuk-tuk with other travellers to the center of the border town, Chiang Kong. It was a 20-minute ride which cost us 50 baht each. 8:05 PM – We arrived at the city center in Chiang Kong. We had to stay the night before making our way to Chiang Rai since there were no more buses going there until the next morning. 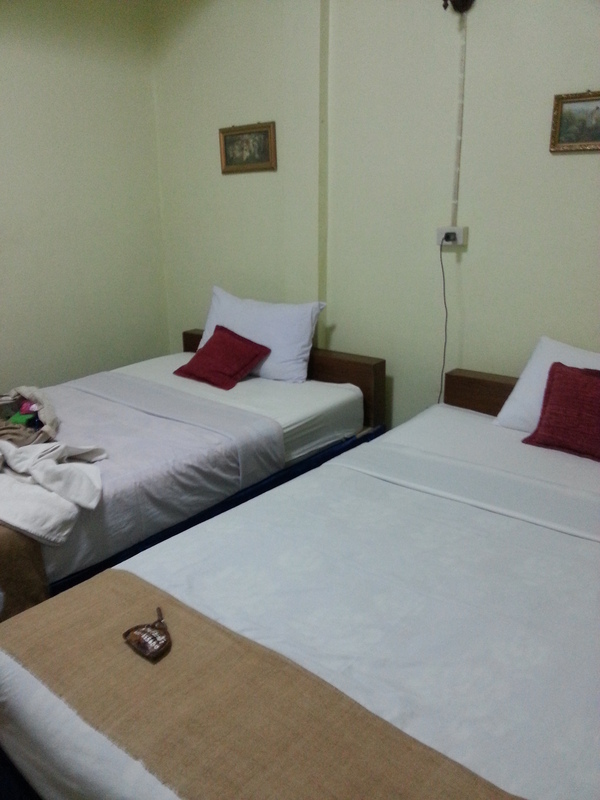 We stayed at Rim Nam Guest House which cost 350baht for a private fan room for 3 people. 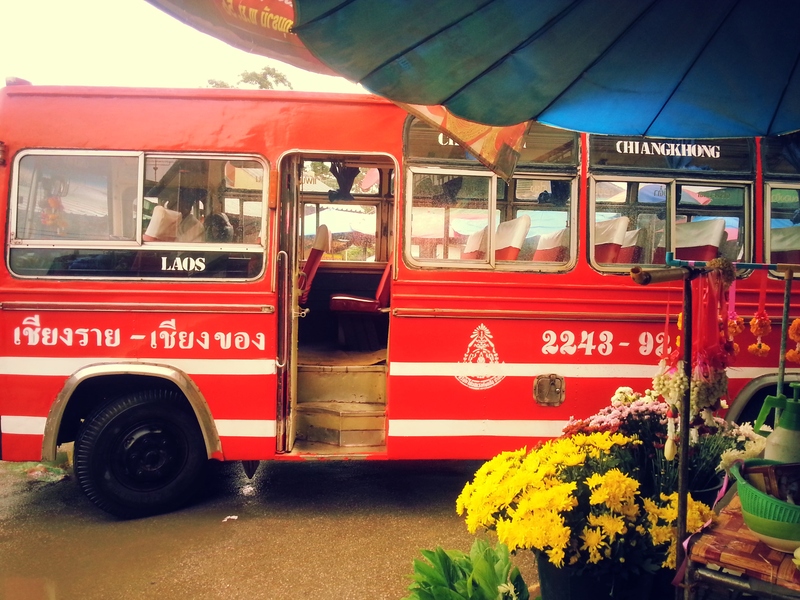 July 17 – After breakfast, we headed to the bus terminal to catch the bus going to Chiang Rai. We just walked to the bus terminal from our guesthouse. The local bus terminal with the old red buses is located in front of the fresh market. The bus leaves every hour from 5:00 AM to 3:00 PM and costs 65 baht. There is no air conditioning in the bus but our trip was comfortable enough as the bus was just half filled and the weather was not too hot. 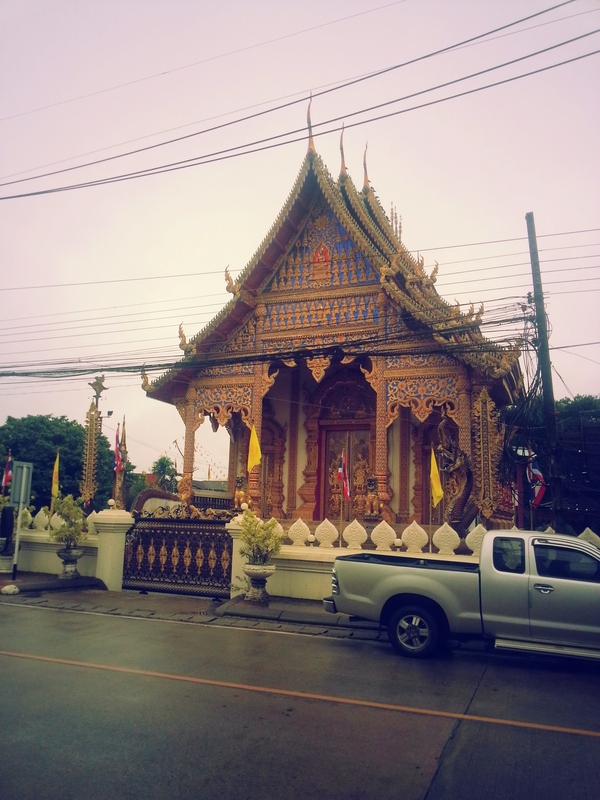 After 3 hours, we arrived in Chiang Rai. DIY it! No need to book earlier with a travel agency if going during low season. 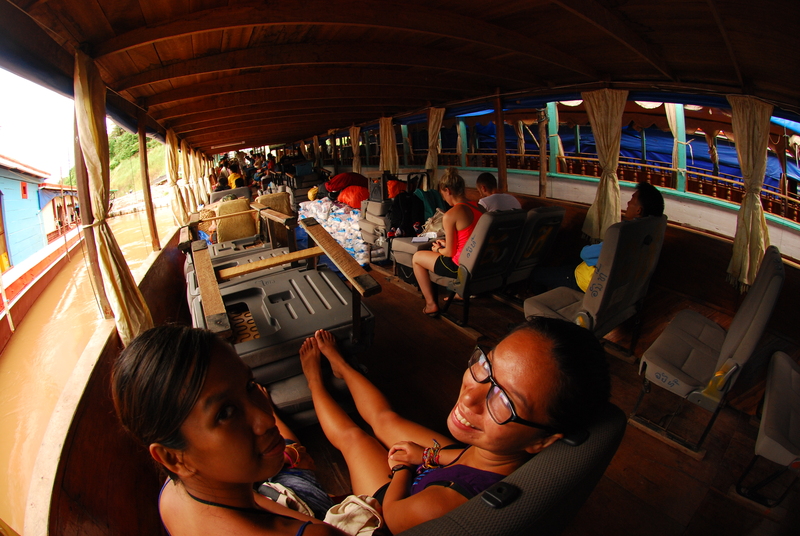 We opted to book our slow boat ticket to Pak Beng the night before as we were afraid we would run out of seats. We heard horror stories of people running out of seats and had to sit beside the engine part of the boat which is very hot, noisy and just plain hell if you are doing a 8-9 hour journey. Booking through an agency, we paid 150,000 kip per person with hotel pick up. If you DIY, it will only cost you 110,000 kip. However, you will have to negotiate a price with a tuk-tuk driver to get you to the pier. The normal rate is 20,000 kip per person but can go lower if you are a big group. 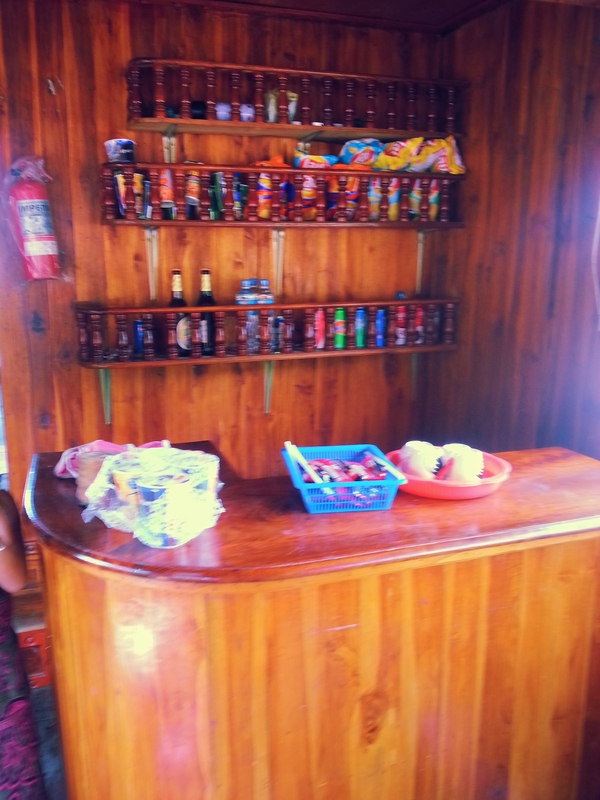 Make sure you bring food and drinks enough to last you for the first boat trip. Although it wouldn’t hurt if you bring more considering what happened to us. Bring entertainment. As mentioned, I finished two books and was eventually bored staring at the view for hours.